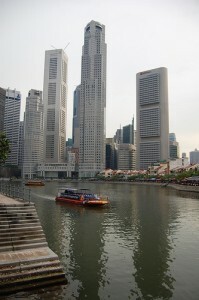 Singapore aims to restrict the flow of expat workers by tightening eligibility requirements for foreigners entering “lower and mid-level professional, managerial and executive jobs.” The new rules center on salary and education requirements. The Government is committed to managing the size of the foreign workforce, as part of our broader strategies to achieve productivity-driven economic growth, as well as to ensure that Singaporeans remain at the core of a diverse and globally competitive workforce. Our aim is to avoid increasing dependence on foreign workers over the long term, by keeping the foreign share of the workforce at about one-third. The minimum monthly salary necessary to be eligible for an EP will be raised to $3,000. Expats with significant work experience would have to earn higher salaries to qualify. The goal of the amended policy is to ensure local workers are not being undercut by qualified expats from abroad. By forcing companies to pay expat higher salaries, the Ministry hopes to discourage firms from hiring foreigners for positions where they aren’t really needed. In its statement, the Ministry said it reserves the right to waive these requirements in special cases. The amended rules will go into effect for new applicants as of January 1st, 2012. They will be phased in for existing EP holders depending on when the current passes expire.